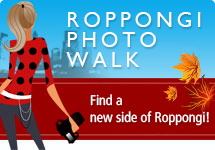 "Roppongi Photo Walk" started in 2013 and is an annual event. The lecturer, Sonoe Sensei has been invited to give a talk. Through the lens of a camera, you will find a new side of Roppongi, as well as discover something surprising and unexpected. This event targets camera enthusiasts. They can walk around Roppongi together, be introduced to different places and its history, talk about what places to photograph and listen to stories of the town, and of course, just have a good time. 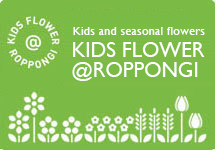 Have you ever noticed the flower pots at the Roppongi crossing? While you are waiting for someone or for the lights to change, take a look at the seasonal flowers in the flower pots around the crossing. Those uniquely designed round flower pots, "smiley × smiley", are used for Azabu Elementary School children's flower planting event. The flowers are planted with the "Town of Art and Design" image in mind. To promote its masquerade event "Roppongi Masquerade" Roppongi decorates its streets with street lights and flags, which are designed by Keisuke Nagatomo. These flags are recycled into bags (92 bags this time) and the limited number are for sale! 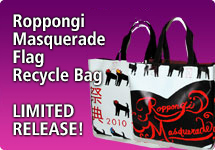 Would you like a tastefully designed limited Roppongi bag? It is sold only at the Roppongi Street. "KIDS GUERNICA" is modeled after Picasso's "Guernica" painted in 1937 to protest the war on the citizens of Spain and is on the same size canvas (3.5m × 7.8m) as the original. 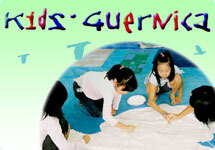 Children from the four corners of the world paint on the theme of "PEACE". The International Children's Art Project has completed, to date, over 100 painting from all over the world. Children and adults have crossed borders to take part in this Roppongi arts event for the theme of "PEACE", that is also referred to as "KIDS GUERNICA". This project of integrated learning has attracted attention at home and abroad. 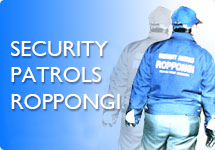 The Roppongi Shopping Street Association has a structure where the local shop owners and residents recruit volunteers to cooperate with the city and local police and take action when needed. Certain owners and staff of certain establishments, along with pleasure seekers from other places sometimes do not follow the regulations or ethics of this town and this is why the structure was formed in order to have the rules complied with thoroughly.